Turtle Cookie Bars, lots of chocolate, caramel and a delicious shortbread base makes these Cookies the perfect addition to your Christmas Baking. When I was a kid in Canada I can always remember eating these ooey gooey chocolate caramel sweets that supposedly resembled a turtle and needless to say were called Turtles. I loved those things. 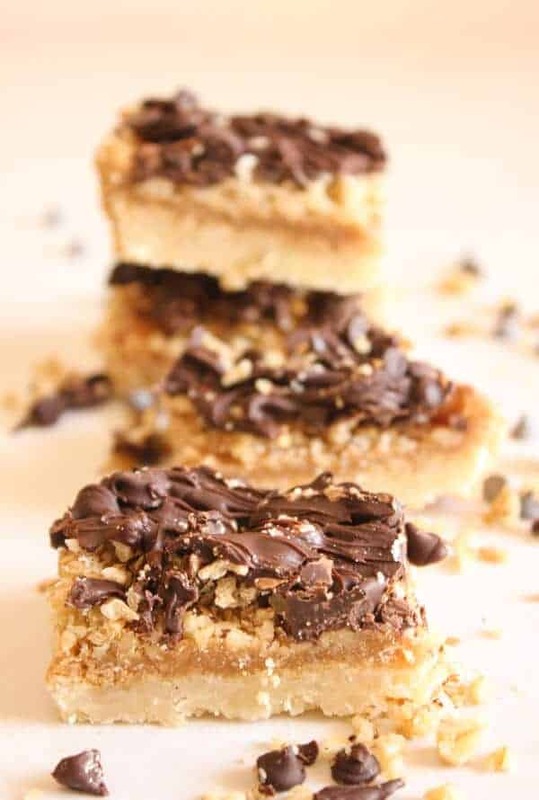 And now I love these Turtle Cookie Bars.So when I was flipping through a cookbook my Mom gave me when I first got married I found these amazing sounding Turtle Cookie Bars. These my friends were a definite must. Not only for me but also because I was looking for an extra treat to make today. Yes, today is my birthday. In Italy when it is your birthday, you are the one to invite friends or family out for a coffee or snack, not the other way around. It took me a while to get used to that little tradition. So tonight I am having a few people over for coffee and dessert. 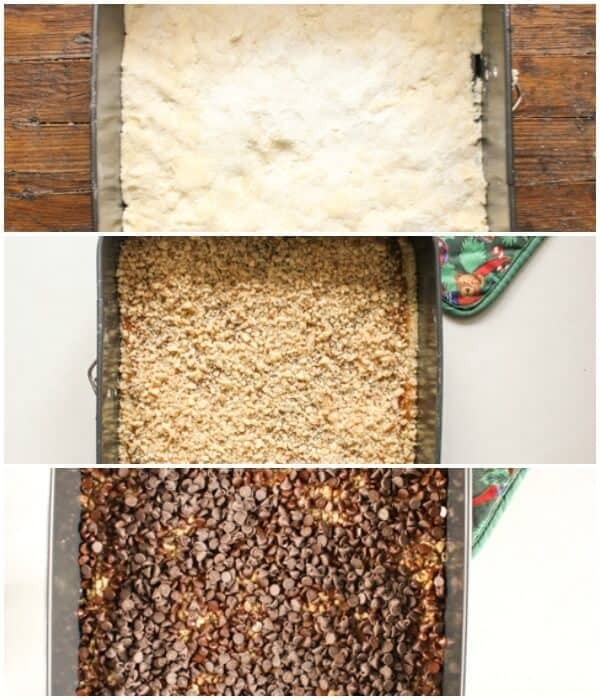 And since it is Christmas time I always make a few pans of Hello Dollies or Seven Layer Bars, which are my Italian family and friends’ favourite Christmas cookie, but this year I decided to try something new. 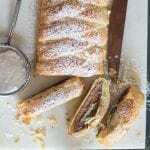 My next three posts are going to be the 3 desserts I served my friends. To start are these Turtle Cookie Bars. What’s so great about these you ask? Everything, fast, easy and so yummy. Made with my favourite base, Shortbread. Nothing says Christmas more than Shortbread in my opinion. 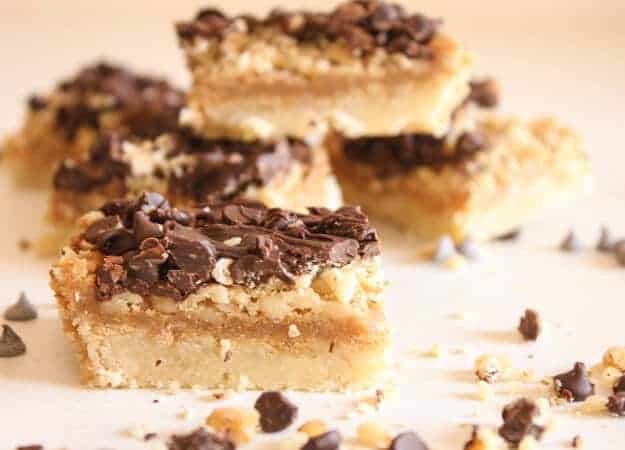 The shortbread is baked first and then topped with a delicious brown sugar caramel sauce and chopped walnuts, baked for another 10 minutes and then sprinkled with mini dark chocolate chips. Even the aroma was amazing. 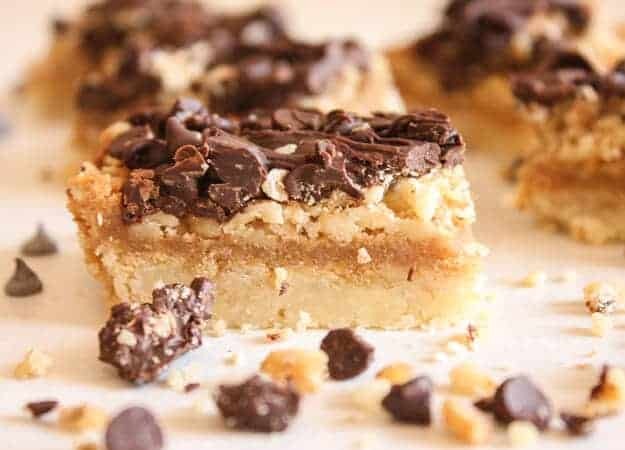 Turtle Cookie Bars maybe even better than the original. I hope you enjoy these too! 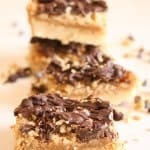 Turtle Cookie Bars, a fast and easy Christmas cookie recipe with a yummy shortbread base, filled with nuts, caramel and chocolate. A new favourite. In a medium bowl whisk together flour and sugar, with a pastry blender mix in butter until it resembles coarse crumbs. 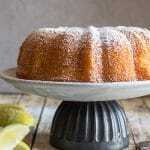 Press into the bottom of an ungreased 9 x 9 inch cake pan ( I used a spring form pan). Bake for approximately 15 minutes. In a medium pot, combine brown sugar and butter, over low-medium heat bring to a boil and stirring constantly boil for approximately 30 seconds to 1 minute, remove from heat and pour over baked shortbread base, sprinkle with chopped walnuts and bake for approximately 15 minutes. Remove from oven and immediately sprinkle with dark chocolate chips, let stand 3-5 minutes then with the tip of a knife, swirl gently the top to combine the nuts and chocolate. Let cool. Cut into small squares. Enjoy! Can you freeze bars? 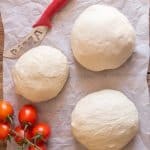 I would love to get started on Christmas but I am not sure the best methods for freezing. 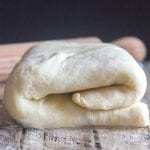 Do you have an article for freezing dough or cookies? These were so good, thanks for the recipe. Hi Patti, thanks so glad you enjoyed them.